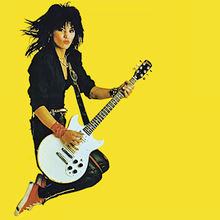 In 1982, Joan Jett had established herself as the queen of rock. However, her grip on the throne was not at all secure. The former queen whom she deposed in, if we were talking medieval times, would be described as a bloody coup, was still around and would jump at any chance to get that throne back. That former queen, Pat Benatar, did put out a cool live album in 1983, which I’ve already posted about. 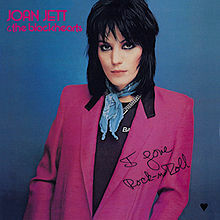 So, what Joan Jett and the Blackhearts needed was a great follow up to the 1982, “I Love Rock and Roll,” which established them. So, the question was, would “Album” be enough for Joan to retain her crown? If you were take the opener and first single “Album” as an answer, then it would be a definite no. “Fake Friends” as a single put many people off the album and I too wasn’t impressed and thought that possibly the band had fumbled the ball here. Fortunately for me, especially after the Chris DeBurgh experience, I don’t let one song dictate an album for me. In fact, even after more than thirty years of hearing this album, I remain convinced that “Fake Friends” should not only have not been released as a single, it shouldn’t even be on the album! As for the rest of the album, the songs are much better. Track two would have been a much better opener than “Fake Friends.” It starts off with the appropriate riff and goes strong from there. The follow up single, “Everyday People,” was much better as a single than the one already mentioned, however, even that is nowhere near the best track on this album. What I like about “Album,” is that it seems that every track improves as the album progresses. ” Hundred Feet Away,” “The French Song” and their take on the 1950’s Bobby Lewis classic, “Tossin’ and Turnin'” are all good rocking tunes. The only exception is the band’s attempt at a power ballad. “Why Can’t We Be Happy” isn’t a bad song, it’s just that I feel that Joan’s voice isn’t suited to ballads. However, she more than makes up with the next two songs, which in my view, are the two best on the album, with the latter being better than the former. “Coney Island Whitefish” torpedoes a hole in the theory about penultimate songs on albums being filler or just not as good. I love the chants of “scumbag”in the chorus. The closer, “Had Enough,” ends the album on a very aggressive note. So the question is: Was “Album” good enough to secure Joan Jett’s place as the queen of rock. The answer is complicated. The album was good enough to keep her on the throne but not enough to keep her there securely. Even if you were to take “Fake Friends” out of it. There were several young metal maidens lurking in the shadows who would emerge to challenge and as the decade would prove, we wouldn’t see the last of Pat Benatar. But forget all that and just enjoy this album. 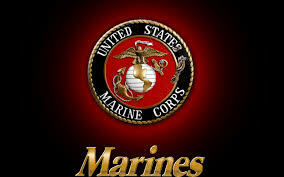 Throughout several posts, I have stated that my experiences while serving in the US Marines played a big part in shaping me into the metalhead I am today. My experiences, which included a radio station that played some really cool hard rock, WXQR in Jacksonville, North Carolina, opened my musical mind to a wide range of musical tastes and styles. Before the marines, I had to be content with an old AM radio and glean music other people were listening to. I knew I loved the really hard rock but never actually stepped boldly forward into that world. The marines gave the opportunity to do that and it is why I am putting my release from active duty in 1983 as a moment in music history. At least it was for me. Let’s start with the final days leading up to the day I got out. D-Day minus five was the last time I got a military haircut. I remember that because I wouldn’t cut my hair again for 17 months! It’s also why I gave the barber a generous tip. Minus four was a bit of a drag as it was Sunday and they put me on duty as ‘Duty NCO.’ D-Day minus three was the first day I began checking out. All that means is that I had to go to various places around the base and sign out with them. I was able to break the back on that on the first day and got many of the more minor places like the Red Cross signed out as well as my field gear turned in. 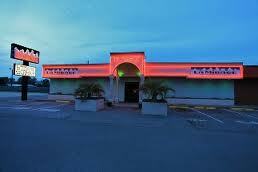 I was also able to close my bank account with the local bank on base. More of the same with minus two although I was able to get confirmation that I would have proof of my contributions to the Veteran’s Educational Assistance Program. That was important because I was set to go to college in September. I completely finished checking out on minus one, the big relief being I had the all clear from my physical. Okay, not a huge worry. I also confirmed my flight for the next day. However, a slight paranoia gripped me so out of fear of some higher rank coming into my room and doing an inspection, I completely cleaned it. Fortunately, my fears were for nil. Now onto the night before I got out. My company was on primary air alert and therefore combined to base but because I was now considered ‘non-deployable,’ I was allowed out for one last night in town. After a good pig out at an all you can eat for $5 chicken restaurant, I went to my old stomping ground, the Driftwood for one last time. The Driftwood- June 29, 1983 would be the last time I would see this place. My ego would like to think that they held this event just for me as it was my last night but in reality, I know it wasn’t. That night at the Driftwood, they were having a ladies’ pudding wrestling tournament. Needless to say, I made sure I had front seats for the event. There were only three matches, the last one was the male manager against two ladies and opening match ended with one lady getting pinned rather quickly. For me, the main event was the middle match. Angie, who I spoke about when I posted about Joan Jett, (she could really move to “I Love Rock and Roll.”) vs another equally attractive lady named Theresa. The match had no winner but I didn’t care, I just liked watching them roll around in the pudding for fifteen minutes. For me, there wasn’t a better way to celebrate my last night in the service. Not actual action from that night. On D-Day, I woke up very excited. I put on my dress uniform and completed the final formalities, including getting paid and having my lieutenant tell me what a patriotic young man I was and I said it was a pleasure to serve. After saying good-bye to many of my comrades, I caught the shuttle to the airport and caught the plane. I first had to fly to Charlotte and had an hour and a half layover. Thankfully, a guy from my company who had re-enlisted and was going to his new assignment and another from a different company in my battalion also caught that short flight. So while we were all awaiting our connecting flights, we had a few drinks at the airport bar. The flight from Charlotte to Philadelphia didn’t seem as long as I had feared and once I picked up my baggage, my mother and brother were waiting for me. My mother immediately noticed my mistake to wear the shirt I had worn the night before as I had a chocolate pudding stain on it. She wasn’t too impressed when I told her how it got there. We drove home and the rest you could say was history. One of the first things I did was to unpack my cassettes. My sister was rather impressed with my ammo cans which held so many of them. She told me about a TV show called “Video Rock” and since we didn’t have MTV yet, that would become a regular viewing feature for me for the next few months. When I got out, I thought I had the world at my feet. One thing I knew that I was a hell of a lot more knowledgeable in music than four years prior. Musically, I had found myself and knew that I was going to be a metalhead and I have the marines, though they wouldn’t be too impressed to hear it, to thank for that. Not long ago when I visited Pat Benatar’s “Get Nervous” album, I ended the post by saying that in 1982, someone would come along and usurp Pat’s throne as the queen of rock. Yes, I know I’ve just given it away, the usurper would be Joan Jett. Unlike Pat’s bloodless ascension to the throne in 1980, Joan’s would be a very bloody one in regards to music because as evidenced by the “Get Nervous” album, Pat Benatar was not going to give up the throne without a fight. So if we were to look at this coup, not in rock terms but in terms of medieval fantasy, which I love, it would have unfolded in two ways. 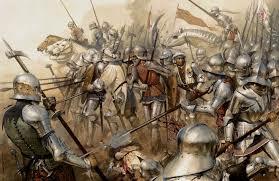 If both ladies amassed armies, there would be lots of casualties, ransacked castles and burning villages on both sides. 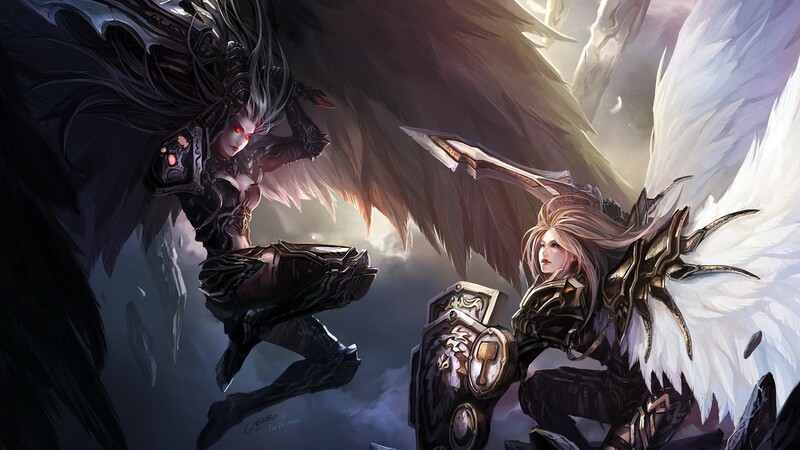 In the second scenario, if both ladies chose to forego the armies and engage in single combat, both would have had serious wounds inflicted on them by the other. However, the end result would have been the same, a victorious Joan Jett standing over a vanquished Pat Benatar. Putting my love for fantasy aside, fortunately, there was no actual bloodshed. The reason why Joan Jett would usurp the crown as Queen of Rock is simply down to the fact that her album “I Love Rock and Roll” is just brilliant. I first heard about the album when my lieutenant shot it down saying the band only played two chords. If that’s true, then they were the right two chords. My first induction to the album was once I returned to the US, the title track was dominating the juke boxes in just about every bar I went to and the second single, “Crimson and Clover” an old number by Tommy James and the Shondells got a considerable amount of play too. Furthermore, this would be the first and probably only album that had two songs that were common favourites of different dancers at the Driftwood. A dancer named Angie really knew how to move to “I Love Rock and Roll.” She made that song come to life almost. “Crimson and Clover” was finely manipulated by a dancer named Mary. Trust me, watching her work her magic to that song was something else. It is little wonder why I have fond memories of both of these songs. Because the two hit singles from the album were classics written by others in another era, it has been surmised by some that Joan’s song writing is not up to much. When I listen to the other songs, I disagree. What those songs do is set an interesting vibe for the rest of the album. If I could give this album a theme, it would be “The early rock and roll years transformed to metal.” Many of the songs do have a vibe like they could have been written in the 1950s or early 60s but that hard guitar sound blows everything out of the water. Joan Jett writes the other ones that make the album for me like “(I’m Gonna) Run Away,” “Love is Pain” and “Victim of Circumstance” and while she didn’t write “Nag,” I’m going to mention it here anyway, I like it. How Joan Jett and the Blackhearts version of “Little Drummer Boy” missed my favourite Christmas song list, I’ll never know. While it’s easy to sing the praises of Joan Jett, you can’t take anything away from her band. Along with Joan, who should have been included in my list of great rhythm guitarists, Gary Ryan and Lee Crystal provide a solid rhythm section and while I don’t know which guitarist does which solos but I am impressed by Rick Byrd and Irvan Arifin Harahap. These boys definitely played a key role in Joan’s ascension to the rock throne.